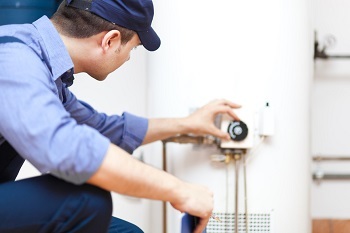 When Should You Replace Your Water Heater in Columbia, SC? Water heaters are almost always under stress, and they are very rarely switched off. So there’s no way to predict when a serious problem may occur with your water heater, and unless you pay close attention to the appliance, you may need to replace your water heater when you least expect it. The plumbers at Franklin Plumbing & Drain Cleaning recommend our clients have their water heaters in Columbia, SC tuned up and inspected at least once each year to find any problems that may go unnoticed, and to keep the water heater running efficiently. When you do notice that something is wrong—no matter how small the problem seems—it’s important to call a professional as soon as possible. Even small problems with your water heater can quickly grow out of control. Still, even if you stay up on the repairs and maintenance, you will eventually need to have your home's water heater replaced. It’s extremely convenient to know that you’ll need that replacement ahead of time. Otherwise, you may not have hot water in your home for up to a week or longer. Most water heaters last for about ten years. Of course, that number can vary in either direction based on the maintenance that your water heater regularly receives. Without regular maintenance, the water heater in your home could last for as few as five years. Once your water heater is around five years old, you should start to pay closer attention to it and consider whether or not you need to have it replaced. This is also a great time to think about the last time you had the water heater inspected. The professional plumbers at Franklin Plumbing & Drain Cleaning can help you decide whether or not you need a replacement, and we can let you know how much longer you can expect your water heater to last. Any strange or loud noises coming from your water are potential signs that it has serious problems. These sounds could mean that sediment has built up in your water heater and the components aren’t allowing water through. Sometimes the sediment can be flushed out, and sometimes it’s irreparable. If you hear any buzzing, clicking, humming, or loud pops, call a professional plumber immediately to assess the situation. Leaks in your water heater can often be repaired. But sometimes the leaks can mean you’ll have to have a replacement. Leaks in your home's water heater can be indicators of larger problems that can lead to complete breakdown in the near future. Remember, though: not every puddle you find around water heater is the result of a leak. The best thing you can do if you believe you've found a leak is to call a professional plumber for an inspection. We’ll help you determine whether you have a leak, where it’s coming from, and the best way to handle the situation. Do you need a new water heater in Columbia, SC? Call 803-799-2222 or complete our online request form.